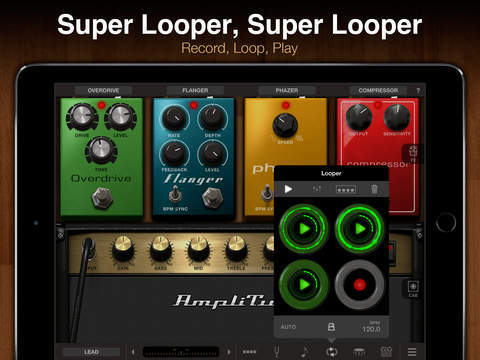 Turn your iPad® into the ultimate mobile guitar-and-bass multi-FX processor and DAW recording studio with AmpliTube. The new Studio feature* (available via in-app purchase) lets you record and edit audio like in a computer DAW. 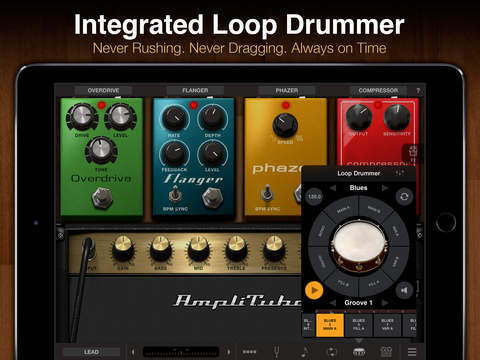 Create killer drum tracks easily with the built-in Loop Drummer. 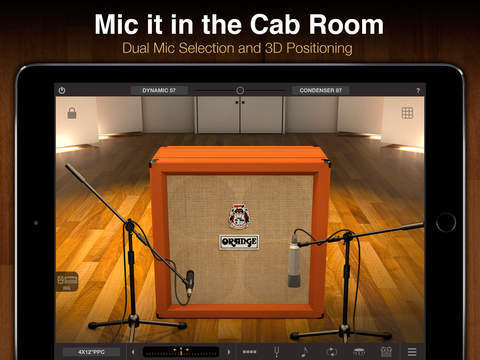 AmpliTube for iPad puts a full rig at your fingertips with 4 stomps, amp, cabinet and mic. Choose from 11 built-in stompboxes, 5 amps (clean, crunch, lead, metal, bass) with full controls, 5 cabinets and 2 mics. Expand recorder to 8 tracks via in-app purchase. The new AutoFreeze lets you use separate FX rigs on each track. Add the new Studio section (via in-app purchase), and record and edit in a familiar & fully featured DAW environment. If you have any problems with installation or in-app purchase, found bugs, questions, comments about this application, you can visit the official website of IK Multimedia IK Multimedia US, LLC at http://www.amplitube.com/ipad.